Christmas has come early here at HQ and this issue includes reviews of the new books we have purchased. Please contact me if you would like to borrow any of them. Richard Mandell would like to point out that he has no plans to update The Architects of Golf as that is the property of Ron Whitten. He is just collecting information to document the family tree of architects and their companies. 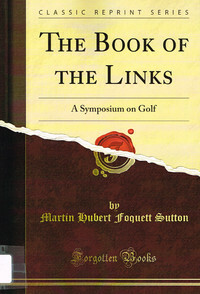 Ron Whitten is updating The Architects of Golf which may be available on the internet at some point in the future. Do contact him if you want to update your entry, or to make sure you are included. Published by Coventry House Publishing, 2013. 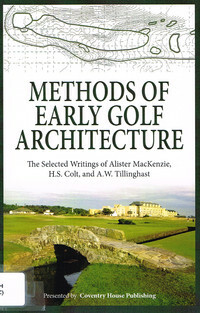 Features selected writings from 19th century architects Alister MacKenzie, H.S. Colt, and A.W. Tillinghast. With precision and detail, these prominent architects discuss each element of golf course design, and no detail is left untouched. By Bradley S Klein. Published by University of Nebraska Press, 2013. In golf the playing field is also landscape, where nature and the shaping of it conspire to test athletic prowess. 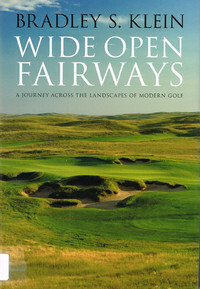 As golf courses move away from the "big business, pristine lawn" approach of recent times, Bradley S. Klein, a leading expert on golf course design and economics, finds much to contemplate, and much to report, in the way these wide-open spaces function as landscapes that inspire us, stimulate our senses, and reveal the special nature of particular places. By The Royal and Ancient Golf Club of St.Andrews. Published by Arum Press, 2010. 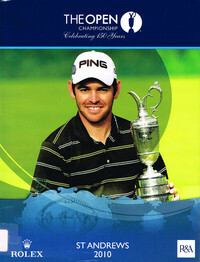 The 2010 Open Championship returned to St Andrews, the home of golf, and, as always, saw the best players in the world gather together to pit their wits against a great links course. By David Malcom and Peter M Crabtree. Published by Birlinn, 2012. 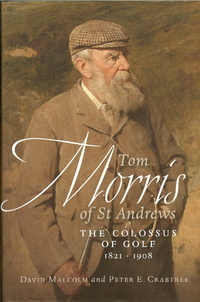 Born in a humble weaver's cottage in 1821, Tom Morris, more than anyone, before or since, in large measure made golf what it is today. The record of Tom and his prodigiously gifted son, Tommy, is astonishing. Between them they won eight of the first twelve Open Championships and are still respectively the oldest and youngest players to have won the Open. By Martin Hubert Foquett Sutton. Published by Forgotten Books, 2012. This is a facsimile copy of the original which is held by the Library. A round up of recently published articles from a range of magazines and online newsletters. All the usual titles have been covered, including the latest issues of Clubhouse Europe, Golf Course Architecture, Greenkeeper International, Greenkeeping, and STRI Bulletin for Sports Turf Management.